Angela Wilson grew up in South Africa, where she still lives, and studied graphic design at Johannesburg College of Art. She worked as a graphic designer and in 1978 she moved to England with her family. She started to paint and she worked with interior decorators such as Mary Fox Linton supplying her with large paintings to furnish her interior schemes. She exhibited in galleries in Stratford upon Avon, Leamington Spa as well as the Mall Galleries in London. Angela moved to Japan in 1992 for four years and sold through various outlets in Tokyo. More recently she has been exhibiting in Cape Town, Johannesburg and Durban. 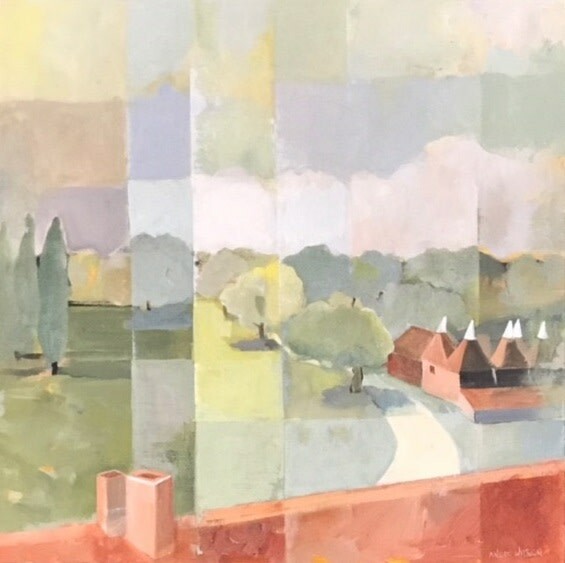 Angela is interested in the effect that one tone has upon another and creates palettes of graded tones, often in the form of cubist shapes, to build up landscapes.